Remember that damn rope you had to climb in gym class? The one your P.E. teacher made you climb but couldn't climb themselves? The teachers were on to a great exercise back then and didn't even know it. 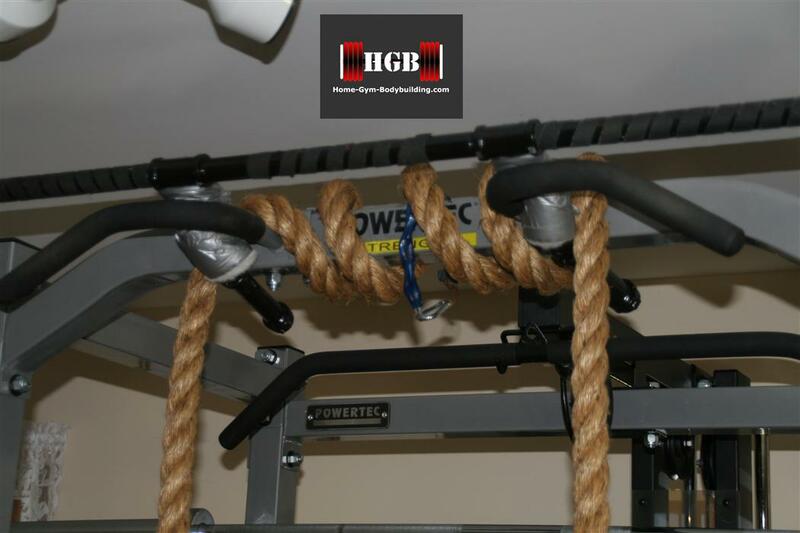 Rope climbing exercises are an excellent way to improve grip strength, forearm strength and upper body strength in general. But let's face it; rope climbing is tough to do, not to mention how do you hang the rope and from where? I'm constantly looking for new exercises to keep my training interesting and rope pull-ups are a great alternative to rope climbing. 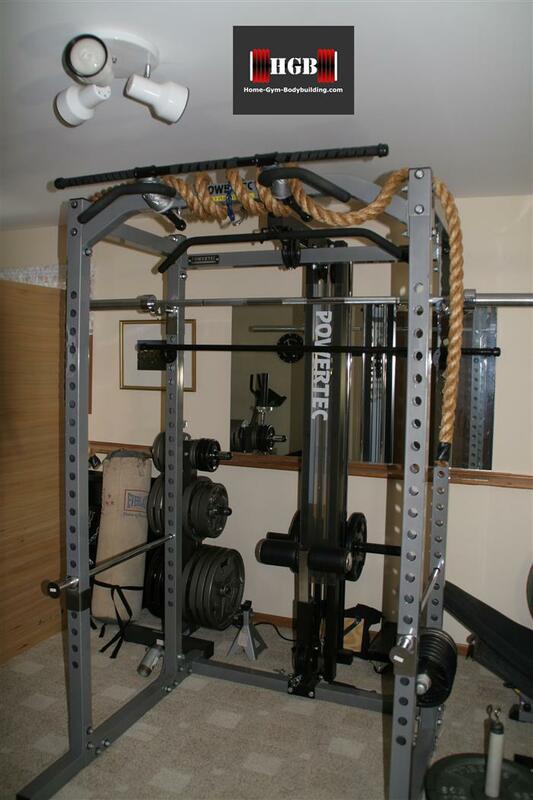 All you need to do rope pull-ups is your trusty power rack and either 1 1/2" or 2" inch thick manila rope. The thicker the rope the harder your forearm and grip has to work. Yeah, I know I'm strange; I just appreciate a creative packing job! 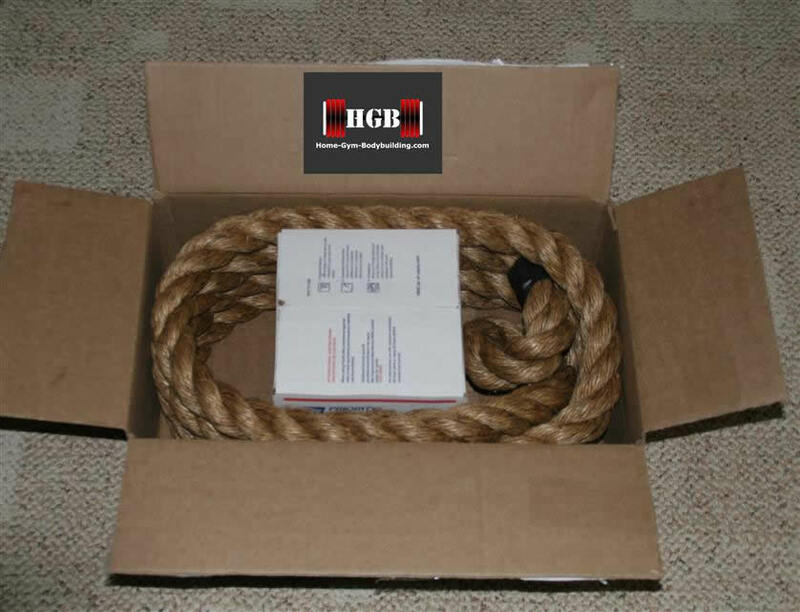 I ended up buying 15 feet of 1 1/2" rope for under $30 including shipping. At one point I was going to attach the rope to a tree limb in my backyard, but after researching climbing ropes I found that when exposed to the outside elements, manila rope tends to rot from the inside out and can even develop splinters. So you have to take it down after every use. Not an easy task when the limb is twenty feet off of the ground. For indoor use with a power rack, I recommend buying between 10 and 15 feet. Attaching it to the power rack was simple; just wrap it around the top support. Now I just take a rope in each hand and do as many rope pull-ups as possible. Once I start to fail, I just place my feet on the knee cushions for the lat pull down and continue my set. This makes the exercise easier to do once some of your body weight is off of your grip. 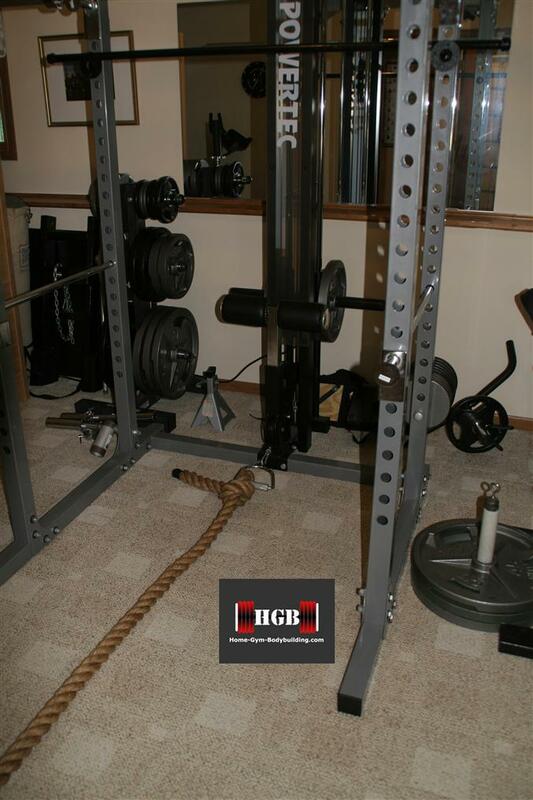 When you have finished your reps, just drape the rope over the top of the power rack and keep it there out of the way. Another way to use your rope is to simulate a "tug-of-war" competition. 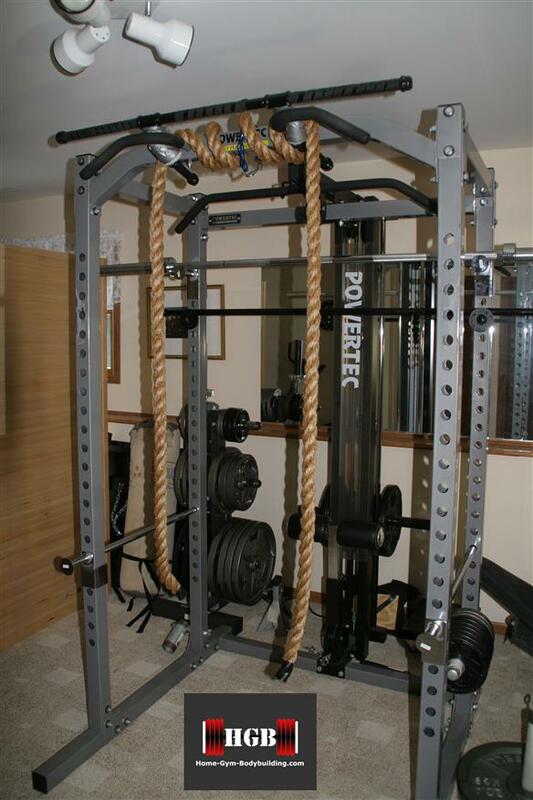 Load your lat tower with weight and attach a "D" handle to the lower pulley. Take your rope and tie it to the "D" handle. Make sure the knot doesn't come loose! Stand a couple of feet in front of the power rack, grab the rope and slightly squat, then pull the weight up using a hand over hand motion. Be careful that you don't slam the weight stack against the stops at the top. Not only will this work your grip and forearms, but also your core, upper body and legs too. Most forearm and grip exercises use a static grip (grip stays closed…think barbell wrist curls), but with the opening and closing of the hands on every rep of a rope pull, your grip and forearm get a great workout. In fact, you can strengthen your grip just by opening and spreading your fingers apart as far as you can and holding for ten seconds, then tightly close your hand into a tight fist and hold for another ten seconds, and then repeat. Rope pull-ups are a challenge. I do these along with pushups for a warm up before every workout. The "tug-of-war" competition is really fun to do! Just make sure you pull in a straight line out from the lower pulley. I happened to be pulling the rope on a slight angle once, and I pulled the cable out of contact with the lower pulley. 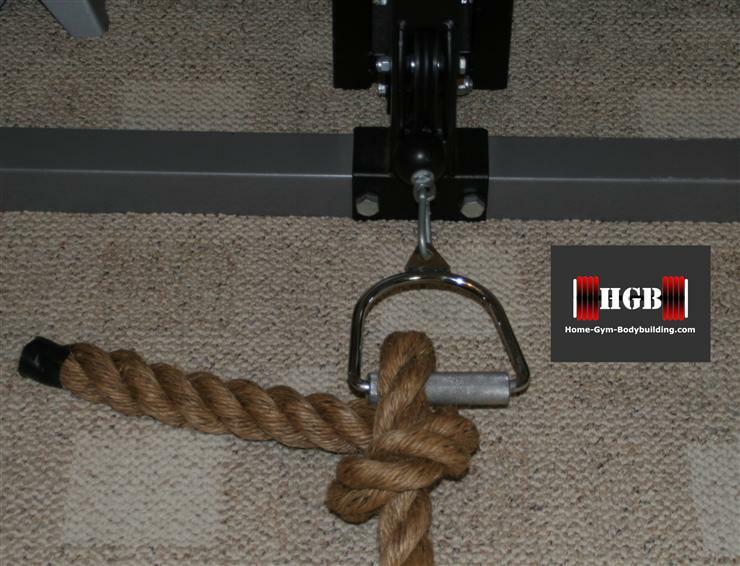 Rope is a relatively inexpensive way to freshen up a stale workout. Or, if you have money to burn (about $3500) you can get one of these.